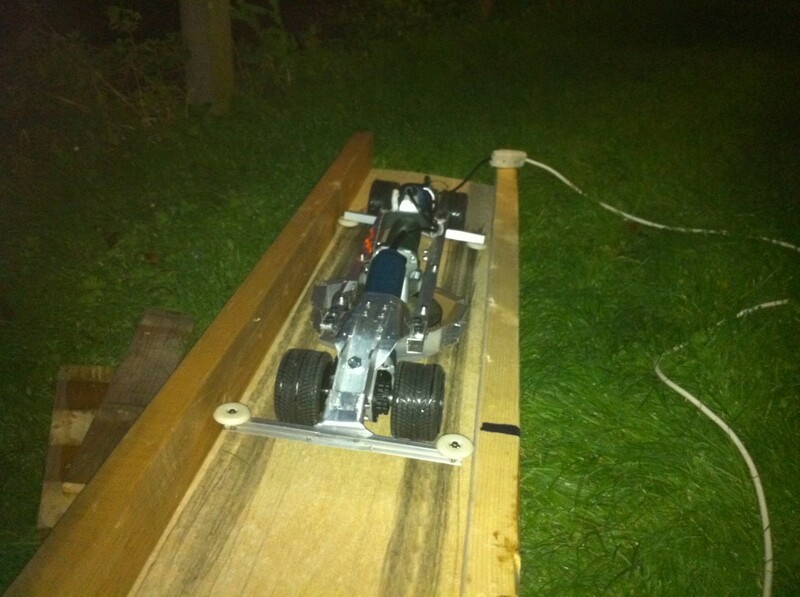 Published 23/01/2013 at 2592 × 1936 in Indoor Power Tool Drag Racers. This photo was in the dark for a reason. After the crash in the first test run major repairs were needed. This photo showed the completed dragster after repairs at 3a.m. the night before we drove to the competition.